It’s still warm and humid in our lovely home of Virginia Beach, VA, but we see the number of tourists is starting to dwindle, the kids are bouncing off the walls, and the ANA preparations are coming at us full-steam. It only means that the summer is ending, and our busiest week of the year is upon us. We will gradually make our way to Philadelphia in waves over the next week for the ANA World’s Fair of Money, and we look forward to seeing many of you there. 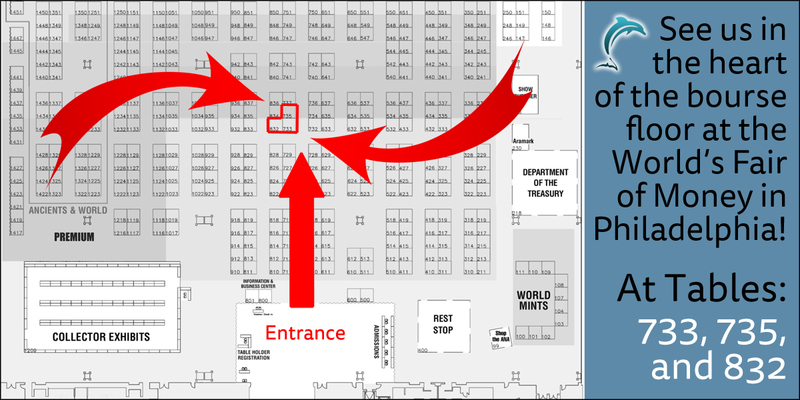 We have one of our largest set-ups at an ANA show that we’ve ever had, so we’re planning on bringing as much inventory as possible, as well as a neat assortment of coins from the collection of D. L. Hansen in a special display adjoining our booth. We promise that it’ll be worth stopping by! Along with our usual inventory, we’ll be bringing with us a fascinatingly original nine coin 1904 Proof Set including the gold, that is housed in old PCGS and NGC holders that is being offered in our upcoming auction. Lastly, we hope that you’ll also let us know if there are any specific coins that you’d like us to bring with us out of our inventory. If you see something listed here on our website and you’d like to check it out in-hand, please email us immediately, and we’ll put your name on it and bring it with us. Just let us know via email at coins@davidlawrence.com. Thanks again for getting this far, and we hope to see you next week in the City of Brotherly Love! Why we love it: A scarce gem example of this earlier Large Cent. The surfaces are lustrous and free of any blemishes that would detract from the lovely eye appeal. The eye appeal is this coin’s best quality as the obverse is a perfectly smooth dark chocolate brown and the reverse provides beautiful hues with earth-colored tones. This coin offered here is tied for the finest known in existence for this Coronet Head Cent graded by PCGS with the Brown color designation. Value: The PCGS Price Guide has this coin valued at $16,500. It is available in this week’s auction with the reserve set reasonably low at just $14,750! 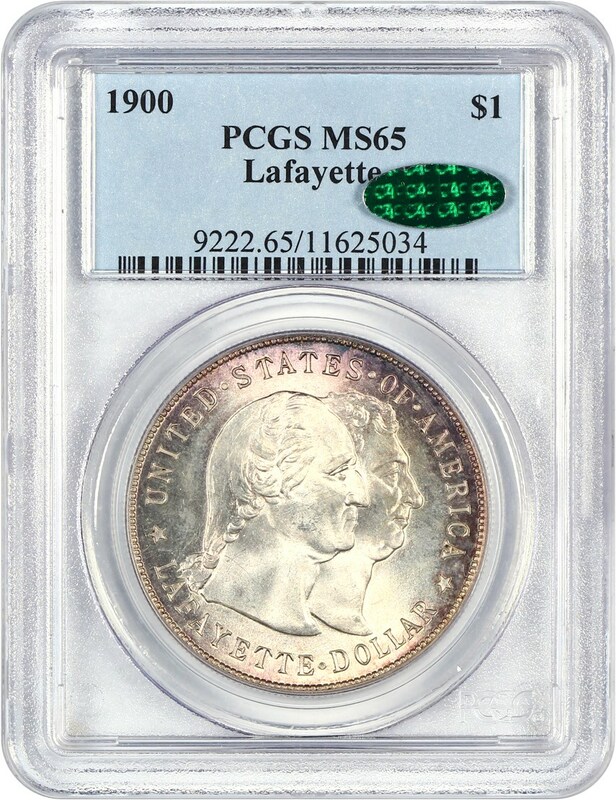 That is a $1,750 discount off the PCGS Price Guide value for this pretty gem example of this scarce Large Cent even with CAC approval! Why we love it: This is an ideal coin for the advanced Registry Set collection as it is the finest known example of this popular over-mintmark variety Buffalo Nickel. The surfaces are completely blemish-free and feature blazing luster shining through its captivating toning. The color this coin offers is light yet stunning, with hues of gold, lavender, magenta and blue. Value: This Buffalo Nickel defines the term “one of a kind” perfectly as it possesses lovely toning and holds the title of finest known example graded by PCGS. These qualities make it incomparable to any price guide. This incredible coin is available for purchase via Make Offer just $43,500, which is a fair price point to add this immaculate ultra-gem to a high-end registry set or collection of any kind. Why we love it: A common Lincoln Cent that becomes surprisingly rare in high-end ultra-gem grades. This CAC approved piece has surfaces that are immaculate and smooth bright red without blemish. On top of those characteristics, it’s the excessive amount of luster that truly makes the eye appeal perfect. 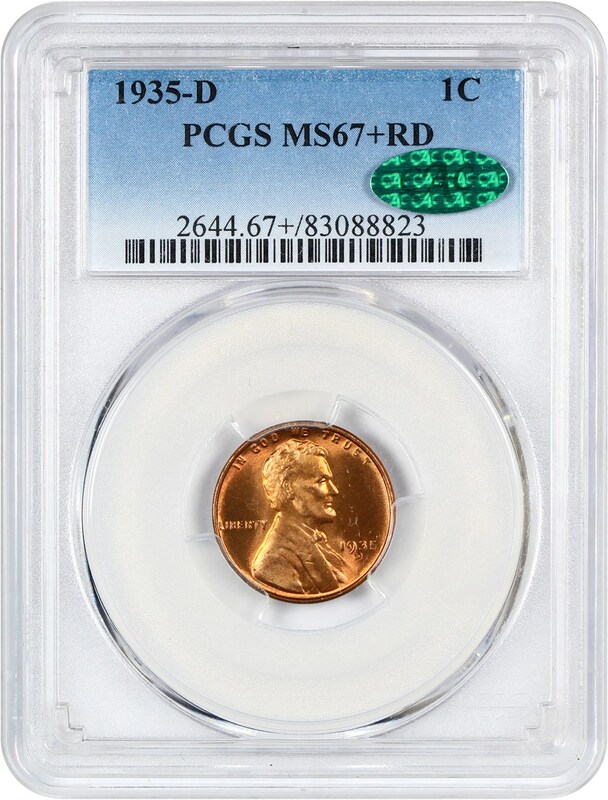 There is just one other example of this Lincoln Cent issue in existence graded finer by PCGS. Value: The most recent sale of this date and grade was in March in a Stacks Auction where that CAC approved example sold for $4,080! This pristine rare ultra-gem Lincoln Cent is available in this week’s auction with a reserve set at just $3,850! Why we love it: An ultra-gem example of this popular type coin from the Liberty Quarter Eagle series that belongs in an impressive registry set. This pristine coin features simply stunning luster and no detracting marks. The gorgeous eye appeal also comes from the lovely reddish tints that are mostly visible on the obverse. This Liberty Quarter Eagle comes from a lower mintage of just 201,060 coins struck in which there is only one example graded finer by PCGS. Value: The PCGS Price Guide sits at $6,000, but it is available for purchase at the fair price of just $5,000 via Make Offer! That is a sizeable discount of $1,000 off the PCGS Price Guide value for this registry quality ultra-gem example of this Liberty Quarter Eagle type coin! Why we love it: A gorgeous gem example of this popular 20th century Liberty Double Eagle issue. 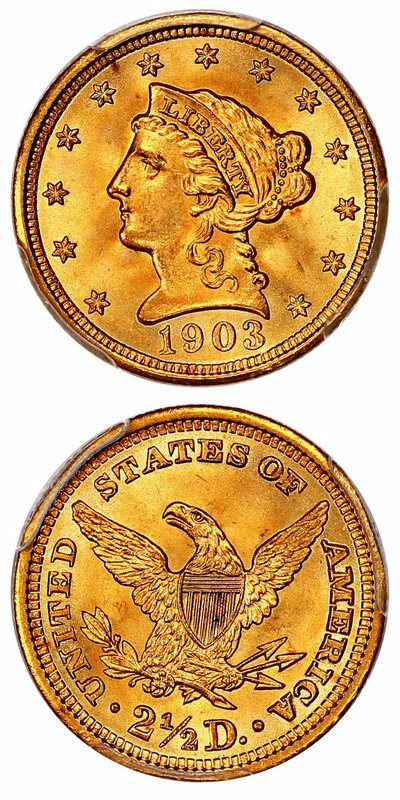 This coin displays incredibly lustrous and pristine, mostly blemish-free surfaces to go along with ideal, lovely deep golden coloring. The price point and eye appeal of this piece makes it the perfect type coin for this series. 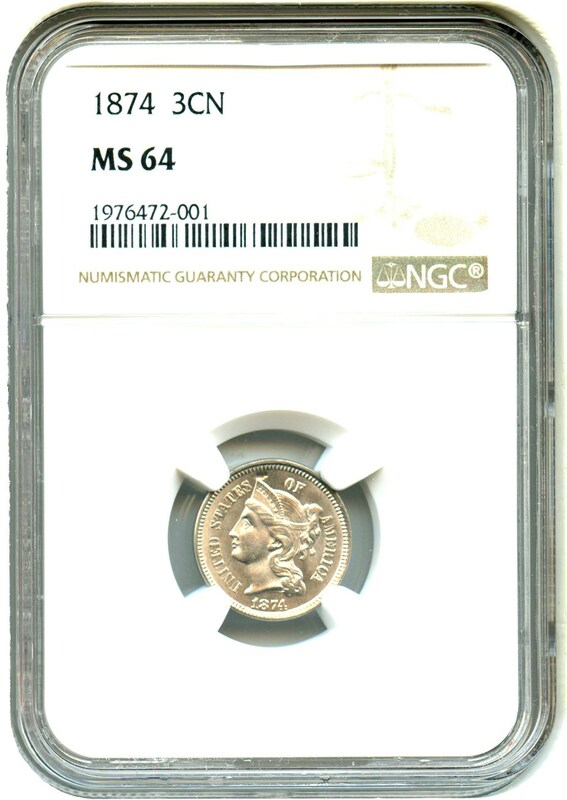 There is just one other example in existence graded finer by NGC. Value: A few years ago, these ultra gems were selling for over $10,000 on a regular basis. Due to recent grading events, the population has increased, and the market has adjusted itself to a far more agreeable price range. 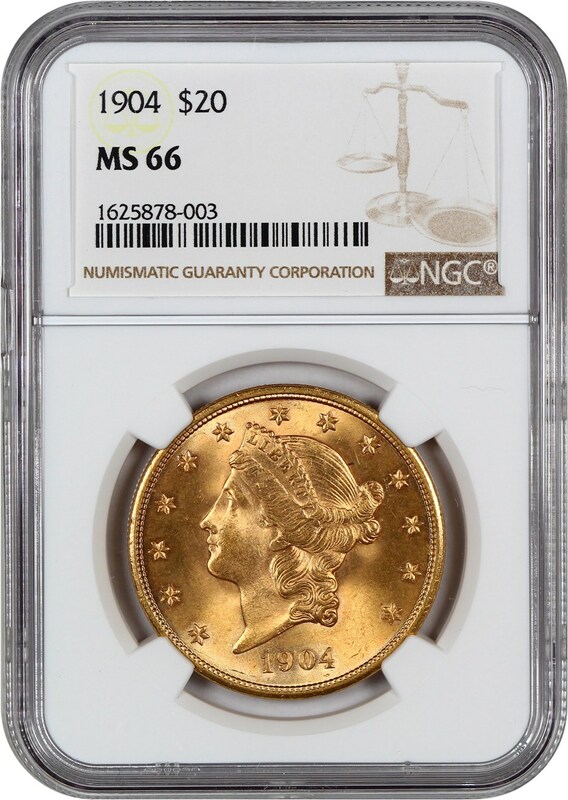 The PCGS Price Guide sits at $6,500, but it is available in this week’s auction with reserve set reasonably low at just $5,000 for this NGC graded example! 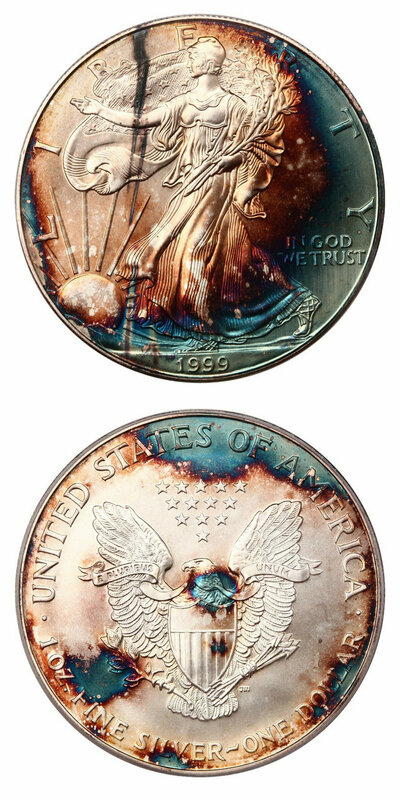 Why we love it: A gorgeous gem proof Kellogg Restrike struck on 9/11/01. These 2.5-ounce gold coins were produced in commemoration of the S.S. Central America's voyage and unfortunate end in 1857. The California Historical Society went through great lengths to closely replicate the original Kellogg $50 proofs. They created dies transferred from the originals, using gold from Kellogg and Co. ingots found in the shipwreck, and striking them with a press from the San Francisco mint. Value: An original Kellogg $50 proof would cost you the better part of $1 million. These replicas present a reasonable and in comparison, affordable, alternative. These pieces typically trade for around $4,250-$4,750, but this rare striking date of 9/11/01 sets this piece apart and it can be acquired in this week’s auction as it hosts reserve of just $4,500! Why we love it: A lovely CAC approved example of this popular issue that is the only silver dollar ever produced as part of the Classic Commemorative Series. This immaculate gem displays hues of deep lavender toning around parts of the rim along with a bright white, lustrous center, which gives this piece premium eye appeal. 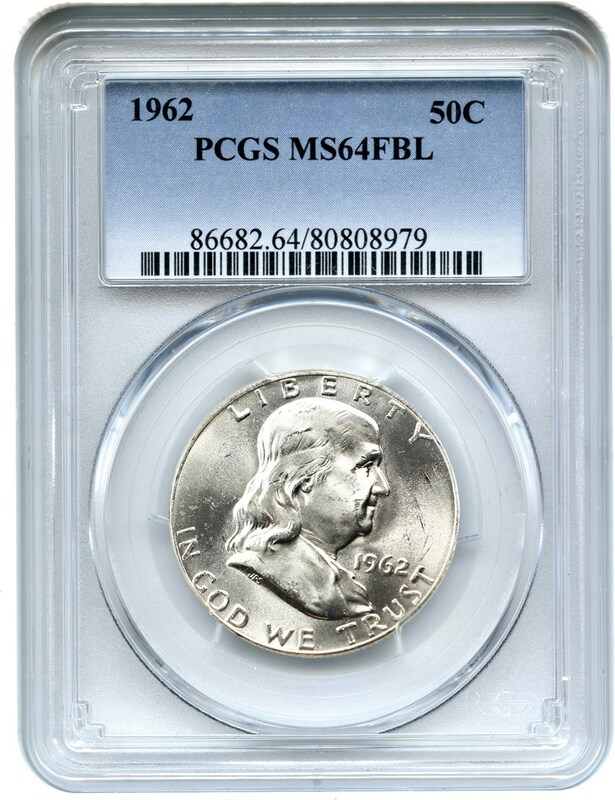 Value: CPG lists this coin at $5,950 with the PCGS Price Guide at $6,250. Available at a very reasonable price of just $5,750 via Make Offer, this is a bargain for an elusive CAC-stickered piece! Why we love it: Matching toned proof sets are so difficult to come by as they are often torn apart for potential upgrades making sets such as this one here extremely desirable. All the coins represent their PCGS grades well, and all for the most part feature their own unique toning giving this rare proof set incredible overall eye appeal. The 3-Cent Nickel, Half Dime and Dime (Arrows) are all CAC approved. Value: The PCGS Price Guide has this Proof Set valued at a combined $27,650. It is available in this week’s auction with the reserve set reasonably at just $26,500! That is a fair discount of over $1,000 off the PCGS Price Guide value for this rare, matching 14-piece Proof Set even with CAC approval! Why we love it: A flashy, blast red gem type coin for the Indian Cent Series that offers lovely eye appeal, especially on the reverse. Both sides of the coin are covered in luster and present mostly pristine surfaces. 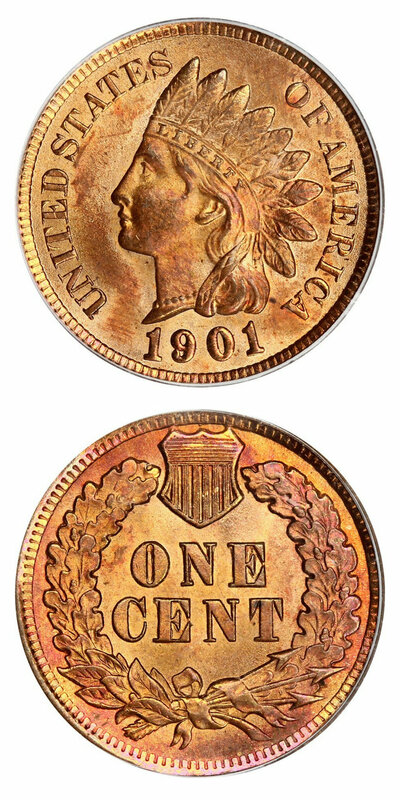 The obverse is a light red color with darker tones throughout the fields and on the cheek of the Indian. The much more attractive reverse features gorgeous magenta and yellow toning. Value: The PCGS Price Guide has this coin valued at $625. It is available for purchase at just $550 via Make Offer. That is a fair $75 discount off the PCGS Price Guide value for this bright red gem Indian Cent type coin with Eagle Eye Photoseal! 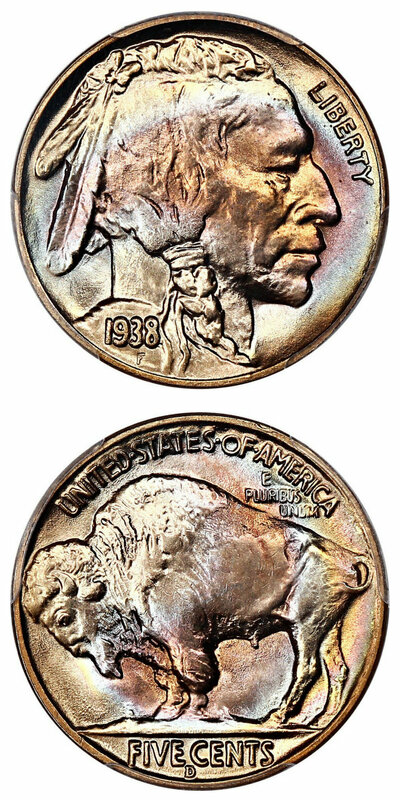 Why we love it: A pretty, near-gem example of this tougher date from the 3-Cent Nickel series featuring subtly toned, mostly white surfaces that are covered in luster. From a smaller mintage of 790,000 coins struck, this issue is underrated. This affordable coin comes at a fantastic value and truly has the eye appeal of a gem as there are so few notable marks making this the prime collector grade. Value: The CPG value for this coin is set at $422 with the PCGS Price Guide comparable at a $425. It is available via Make Offer for only $325. That is a reasonable price at around $100 below both price guides for this pretty near-gem Three-Cent Nickel type coin! Why we love it: A gorgeous, lustrous near-gem example of this Franklin Half Dollar issue that increases in desirability as it possesses Full Bell Lines. This lovely coin displays blazing luster and blast white, well-struck surfaces. Between the excessive amounts of luster and incredible eye appeal, this coin truly represents the grade well. Value: The CPG value for this coin is set at $260 with the PCGS Price Guide sitting at $250; however, it is available via Make an Offer for $200. With a discount around $50 off both price guides that is a fair price for this bright white, lustrous near-gem, Full Bell Line Franklin Half Dollar! Why we love it: This Silver Eagle offered here features toning that sets its value and beauty apart from the entire series. This immaculate ultra-gem displays coloring seldom seen on Silver Eagles, giving it eye appeal and desirability to toned coin collectors that is unmatched by any other. Both sides of the coin have deeply toned areas of blue-green with the remaining space taken up by a light, pretty rose-gold. Value: This coin is listed for $450 but it can be purchased via Make Offer for only $375! American Silver Eagles rarely come with toning this beautiful as most examples are just simply blast white making this coin far advanced for the assigned grade and a simply stunning work of art. This gorgeous piece is perfect for all serious enthusiasts of toned coins. Auction #1027 Lots Posted. Browse & Bid Now!